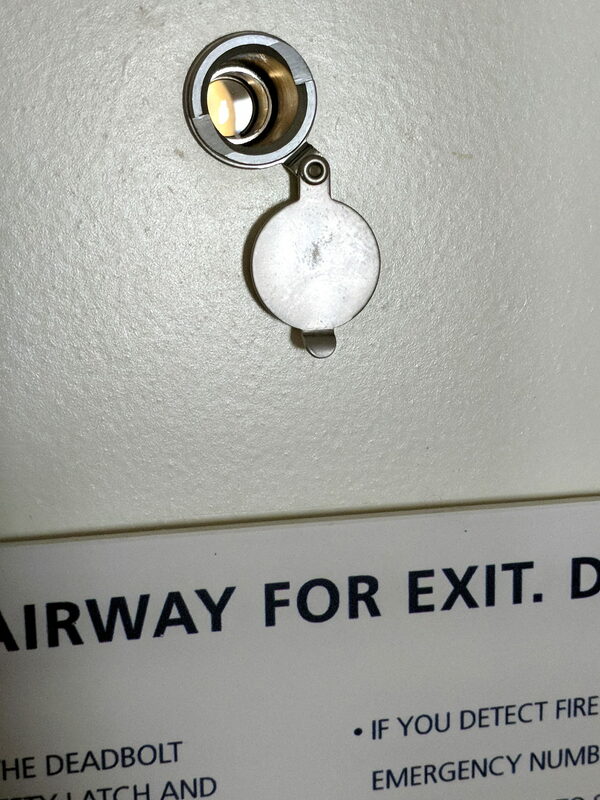 I wonder if all the peepholes in the motel were installed with a similar lack of attention to detail; it was recently renovated, so this is new work. This entry was posted on 2018-08-05, 07:50 and is filed under Machine Shop, Oddities. You can follow any responses to this entry through RSS 2.0. Both comments and pings are currently closed.